Haute Cabriere: Haute Cabriere Chardonnay Pinot Noir he Haute Cabriere Chardonnay Pinot Noir appears to own the magic of blending these two noble cultivars, with Chardonnay contributing elegance and Pinot Noir intensity.Combined in perfect proportion, these cultivars create this appealing taste experience which everybody loves. Refined and elegant, with a firm acidity in the background. You'll find an abundance of ripe zesty fruit, with a delectable fresh and full mouthfeel. 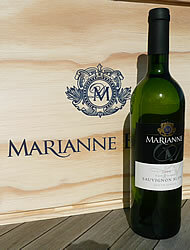 https://www.weinbaule.de/white-wine-south-africa-haute-cabriere-chardonnay-pinot-noir-p-1263.html?osCsid=3d62964a155f87f509db05ebe38b9fd7"> Wine 9.99 6003825000099 WeinBaule.de | The Home of Wine Haute Cabriere New In stock!